I LOVE the Olay ProX Advanced Cleansing brush! I like the Olay brush so much that I use it when I’m just cleansing my face every day AND when I’m using a special exfoliating cream to exfoliate my face a few times each week. The Pro X Exfoliating Renewal Cleanser has microexfoliating beads in it and it’s my all-time favorite exfoliating cream. Following are the 5 best ingredients to look for and how they work to improve your skin, plus additional info about other anti-aging ingredients that seem to work really well! Bare Minerals Makeup For Dry Skin – The Primer Makes All The Difference! I’ll be honest, the Bare Minerals took awhile to grow on me. The biggest reason: I have dry skin. Then I discovered Primer! 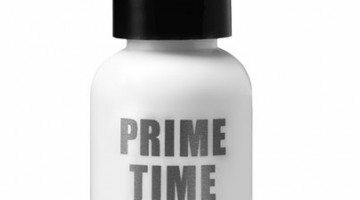 The Bare Escentuals Prime Time Foundation Primer makes all the difference in the world. 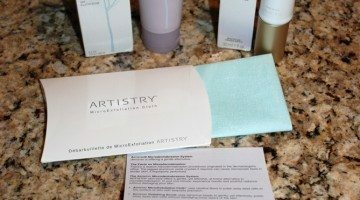 After using the Artistry Microdermabrasion system, the results for me were fabulous! In fact, after one single use the results were so good that I couldn’t wait to use it again a few days later. 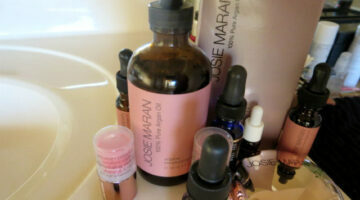 I attribute the success of this microdermabrasion system largely to the cloth that comes in the kit. When I heard Dr. Ordon on The Doctors TV show say that at home microdermabrasion kit would yield similar results as the expensive professional microdermabrasion treatments, I decided to try a few. Here’s what my experience was like. 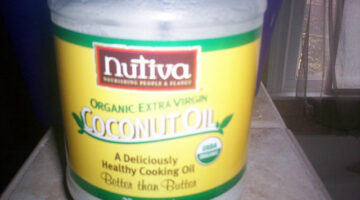 Use Coconut Oil Instead Of Health & Beauty Products… And Save Big Money! Want to save a fortune on health and beauty products? If so, then add this one product to your next shopping trip: coconut oil!